Today is my stop during the book blitz for In Every Way by Amy Sparling! 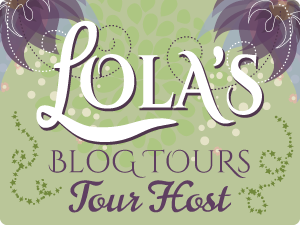 There’s an excerpt of the book and a tour wide giveaway. Graduating high school was supposed to feel like becoming an adult. After so many years of slogging through early morning alarms, bumpy bus rides, and crappy cafeteria food, the day after graduation was supposed to be . . . different. Guess I thought I’d feel like an official adult or something. Besides the fact that I slept until noon, my life feels exactly the same. Some seniors from my school are planning to move across the country and become crazy party college freshman, but not me. I’m just stuck here in Louetta, Texas, a small town with a few good pizza joints, but nothing really exciting to brag about. I’ll be starting good ol’ community college in the fall, for what, I have no idea. Mom said she’d help me sign up for core classes. Dad said I’ll have a blast. I’m not exactly sure how true that is, since I’ve seen the campus and it looks like a combination of a thrift store and like, an old Walmart. Once college starts, I’ll have two years to figure out what I’d like to major in, and then maybe, I’ll feel more like an adult. Right now I’m just happy to have one last summer of not doing a damn thing except working at the family business, The Flying Mermaid. It’s a surf shop on the beach, passed down from my grandparents. It was a TV repair shop when they owned it. My parents turned it into a surf shop with a little section at the front for gifts and girly crap my mom loves. It’s a pretty popular hangout at Blue Beach, and working there has always felt more like fun than actual work. Of course, there are other things I aspire to do this summer.